Dose-of-Joke: Whom Do You Trust?! 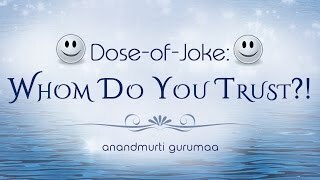 Dose-of-Joke is a hilarious series of short videos drawn from the insightful talks of revered master Anandmurti Gurumaa. It is not just a dose of laughter but a dose of witty wisdom. So, while you laugh to your heart's content don't miss to catch the wisdom bit, for jokes have been one of the amazing ways masters convey deeper meanings. And more often than not at times it brings home the point more clearly than anything else. 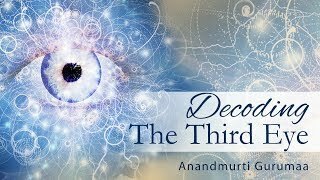 Connect with the Master on Facebook/AnandmurtiGurumaa and on Twitter@Gurumaa. Stay connected to get updates about more videos, more quotes, more posts.